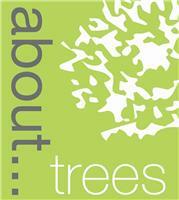 About Trees Ltd - Tree Surgeon based in Whitstable, Kent. Welcome to About Trees ltd.
At About Trees Ltd we offer an educated choice for commercial and domestic tree care and tree surgery. Born from our love of trees, we offer friendly, up to date advice and practice on any tree related issues, be it from tree planting to tree felling and anything in between. We do this honestly and with our clients wishes to guide us. Using modern equipment specifically designed for use in the arboriculture industry. We are a close team of professional Arborists, who believe Arboriculture to be at the forefront of Horticulture. To that end we strive to be the most professional company we can. For you this means we only employ fully qualified arborists (trees surgeons) whom we believe to be amongst the best in their field. We are very much a team built around an ethos of safety first. Knowledge is drawn from over 20 years’ experience. About Trees is in its 10th year of trading and have been awarded Technician status by the Arboricultural association, my member number is TE02523. It means there is a degree of Arboricultural knowledge that I hold, you know that we know what we are talking about. Hopefully this will set your mind at ease that the advice you are given is correct and relevant. We are also highly safety conscious and are a CHAS accredited company. This means we have been audited and our practices looked over and judged as been of high quality. For you, it means you can rest at ease. The professionals are on site. Provide you with a detailed quotation (Method Statements also if required). We will be transparent at all times. Have a question? - Just ask. Treat you and your property with the respect you deserve. Be careful and not put too short timescales on jobs that promote rushing and lack of care - this is when accidents occur. Develop a specification based on over 20 years’ knowledge and experience. Use only Fully insured and Qualified craftsmen to carry out the dangerous and difficult tasks often involved in tree surgery. We can visit you and provide you with a written quotation in 24hrs. Why not contact us for friendly honest advice and check out the Portfolio and Seasonal Offers pages on our website for all our recent developments.